Greater energy efficiency and safety increasingly determine the selection of electric drives, even at high levels of power. With its IndraDrive CL/ML, Bosch Rexroth now offers a scaled product range of strong drive solutions from 110 kW to 4 MW for applications in metal forming, plastics, test, printing, metallurgy, marine, offshore and other heavy industries. These drives open up numerous opportunities for users to improve energy efficiency, especially through power regeneration. At the same time, Rexroth Safety on Board safety functions integrated in the drives ensure the optimal protection of people and machines. In many applications such as forming, plastics, metallurgy or material handling, a high degree of force is often necessary along with a high degree of drive power. Even in high-power applications, users expect more energy efficiency in order to reduce operating costs. With the IndraDrive CL/ML from Rexroth, machine operators can reduce power consumption up to the multi-megawatt range while also increasing productivity. The Rexroth drives are optimized for efficiency and function according to demand, with numerous opportunities for energy recovery. In multi-axis systems, the drives enable the use of braking energy within the drive assemblage via a DC-bus coupling. As a result, excess energy can be fed back into the network. The drives also include the ability to store static and rotational energy, as well as Smart Energy Mode functionality that manages a consistent energy demand from the mains side to save energy and avoid voltage spikes. The result: Reduced energy consumption, improved grid compatibility and the use of smaller components at same machine performance levels. Rexroth offers the IndraDrive CL/ML in power ranges of 110 kW to 500 kW on a single unit. Using a parallel connection of up to eight individual 500 kW drives running a single motor, a drive power of up to 4 MW can be achieved. In addition, users can choose either air- or liquid-cooled drive systems depending on their control cabinet configuration, noise requirements, and ability to handle waste heat. Optional drive-integrated Rexroth Safety on Board capabilities such as Safe Torque Off and Safe Motion ensure standard compliant machine safety functionality. This simplifies engineering and enables integrated modularization without the need for an additional higher-level control unit. Rexroth also offers optional integrated Motion Logic for a variety of application-specific technology functions and peripherally coordinated movements to handle complex motion tasks for up to ten axes. This allows machine builders to automate economically using a decentralized approach that can relieve, or even take the place of a higher-level control unit. 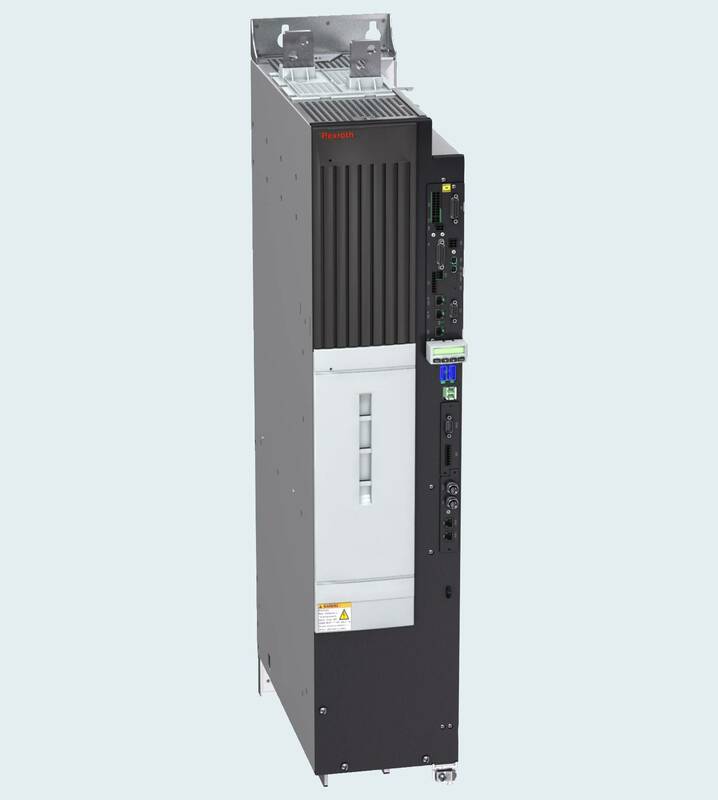 Using the same firmware and control unit parts as the Rexroth IndraDrive family, the IndraDrive CL/ML family offers the same functionality to simplify the combination of drives throughout the entire output range from 100 W to 4 MW. With Multi-Ethernet and Multi-Encoder interfaces, they fit seamlessly into a variety of automation architectures.